The Milly settee is a beautiful blend of styles resulting in traditional contemporary elegance. 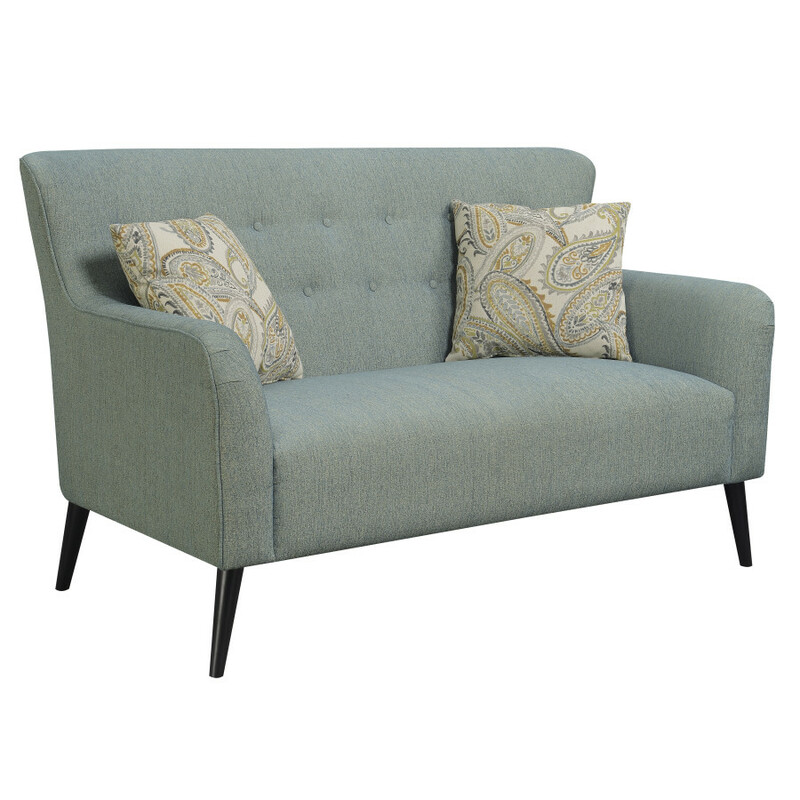 The stately full back, gentle curves, modest button tufting, and espresso color Mid-Century modern legs, pair beautifully with the blended steel blue upholstery and paisley accent pillows. 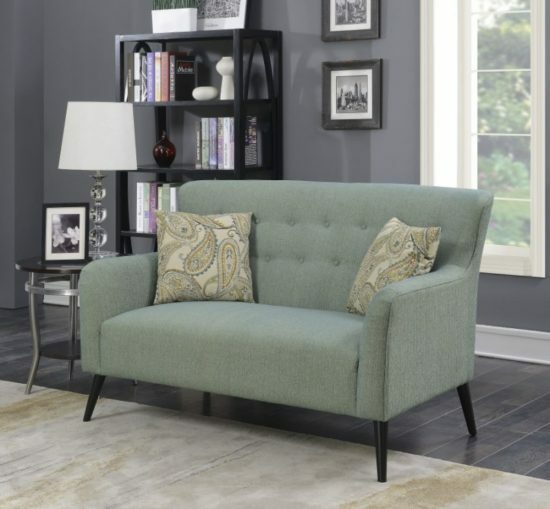 The Milly settee is the perfect addition for your home office, living room, or foyer.